211 Bernard: Thursday November 10th: Walter Scott Launches "Wendy's Revenge"
Thursday November 10th: Walter Scott Launches "Wendy's Revenge"
Join us on Thursday, November 10th at 7:00 as we welcome back the infamous Wendy! She's as flustered as ever in this sequel to her hit art world satire. Wendy was at a crossroads, but the next chapter of her adventures sees her leave Montreal and head west to Vancouver, east to Toronto, further east to Tokyo, and finally west to LA. 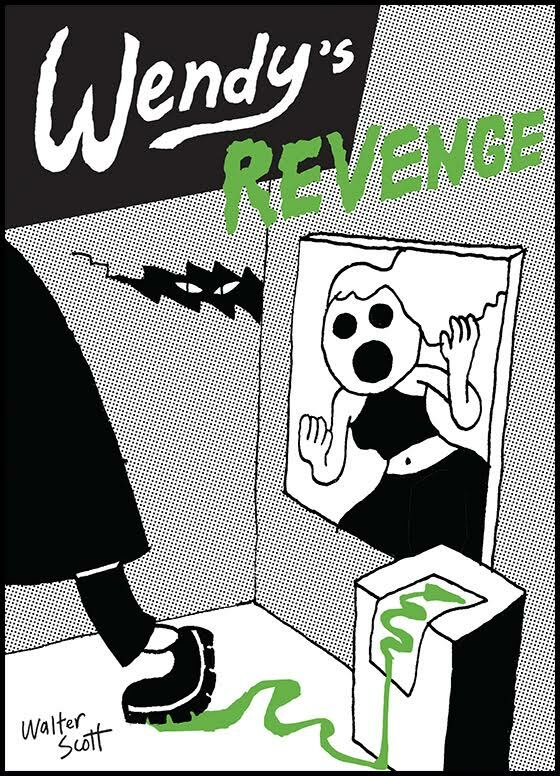 Filled with sardonic wit and ample realness, Wendy has her eyes set on the art world and she’s out for revenge. WALTER SCOTT is an artist from Montréal, QC. His work has been exhibited across Canada and Wendy has been serialized on Random House Canada’s literary digital magazine Hazlitt. The eponymous first volume of Wendy was released in 2014 and was nominated for the Ignatz Award for Outstanding Graphic Novel.